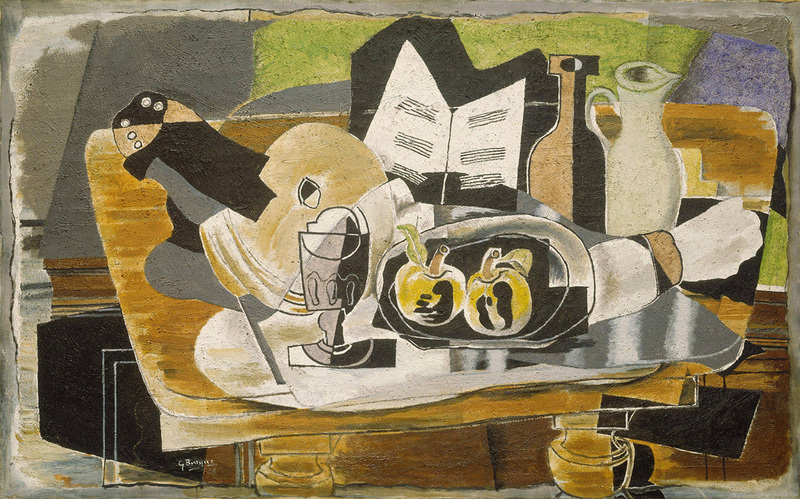 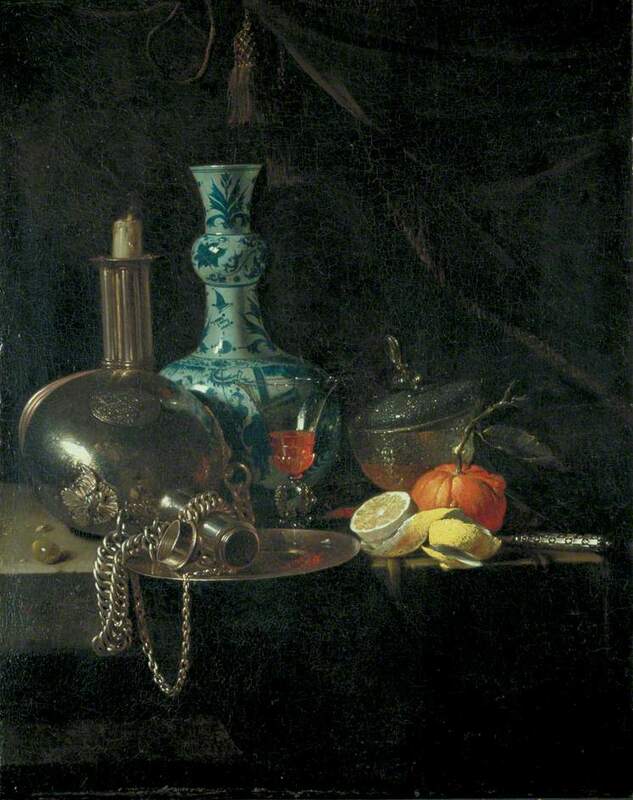 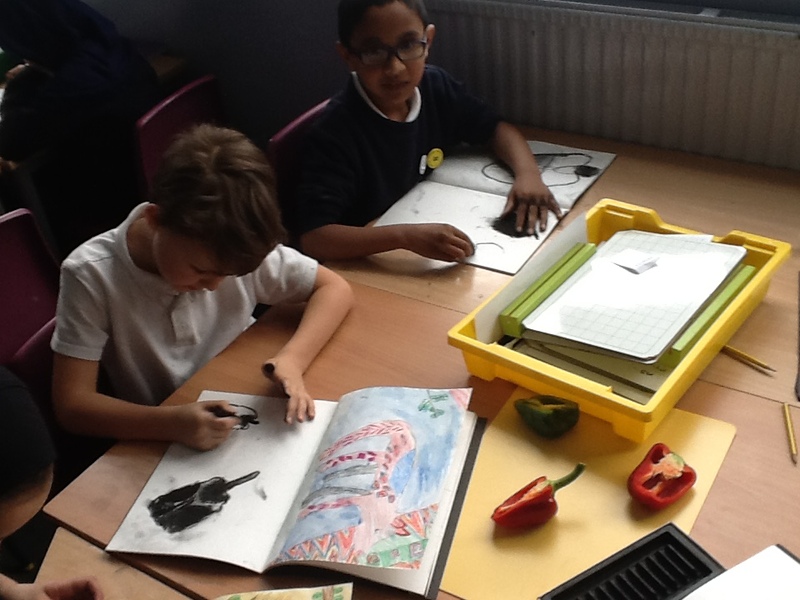 This week Year 3 have been developing their knowledge of great artists by exploring the still life work of Wilhelm Kalf, Georges Braque and Pieter Claesz . 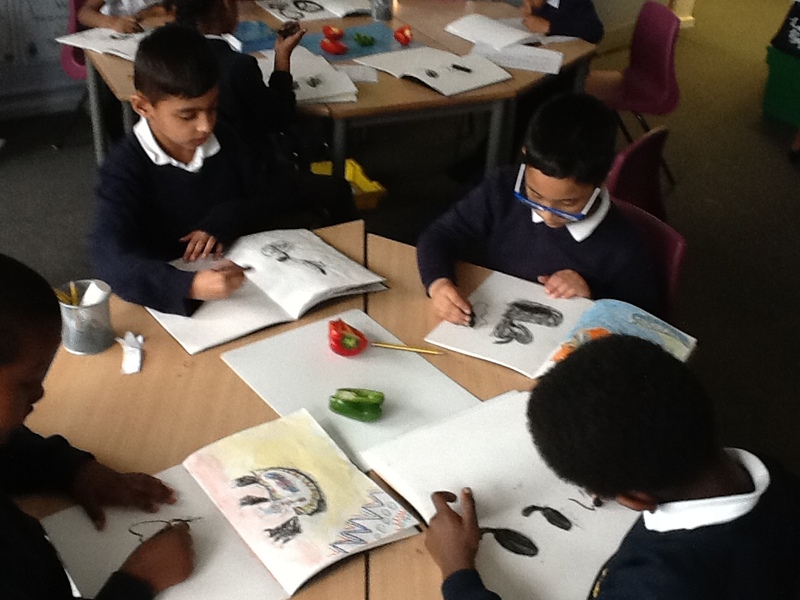 With each still life image, Year 3 used a range of questions to structure their discussions. 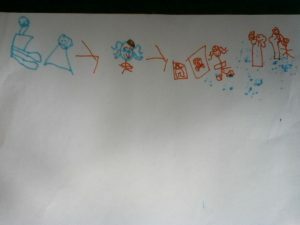 Why do you think the artist made it? 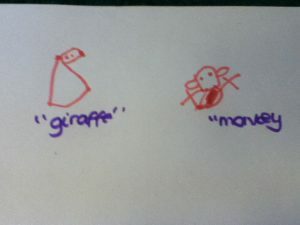 With a final question of which image would you choose to have at home and why? 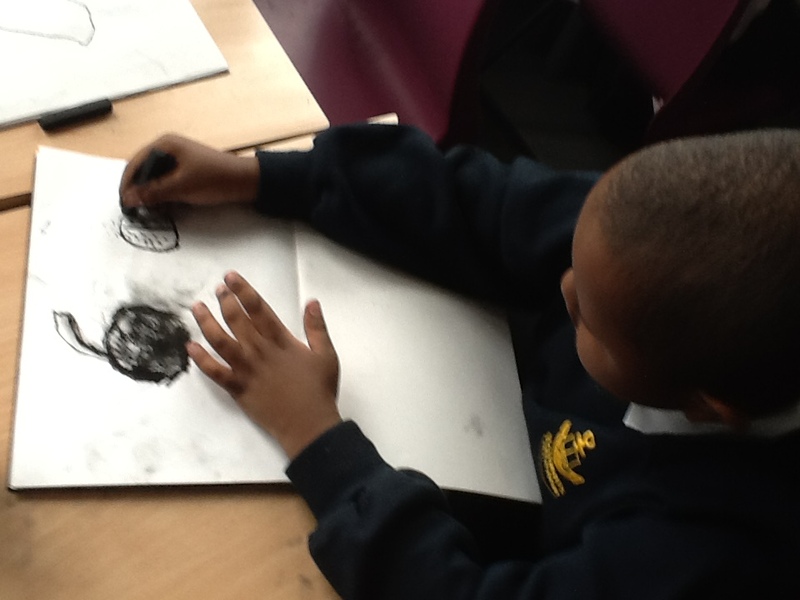 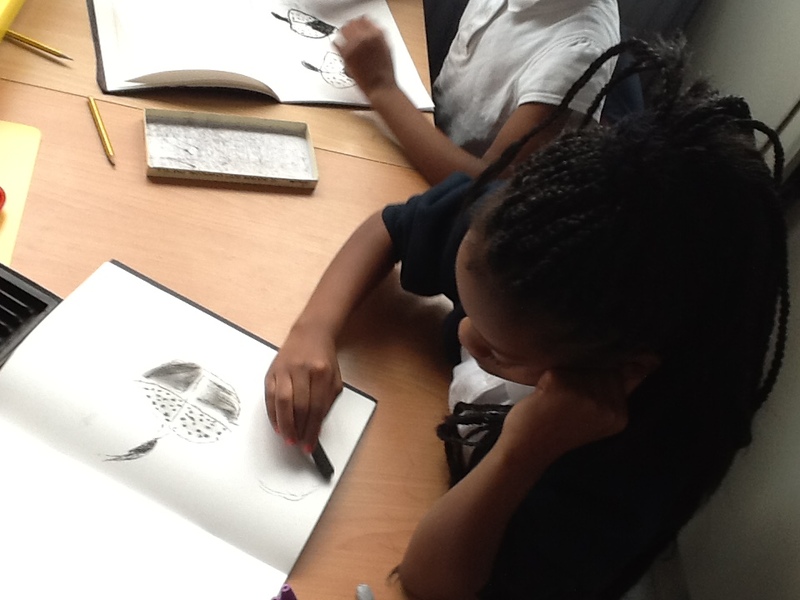 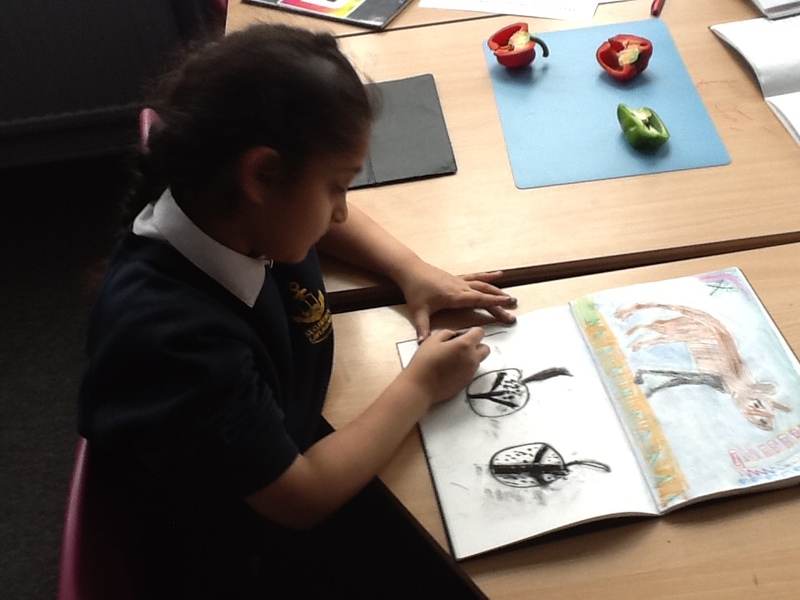 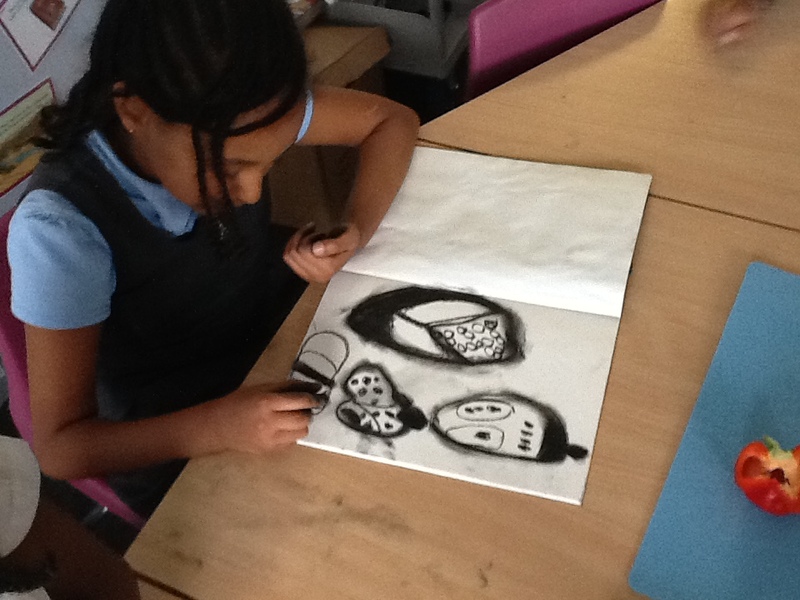 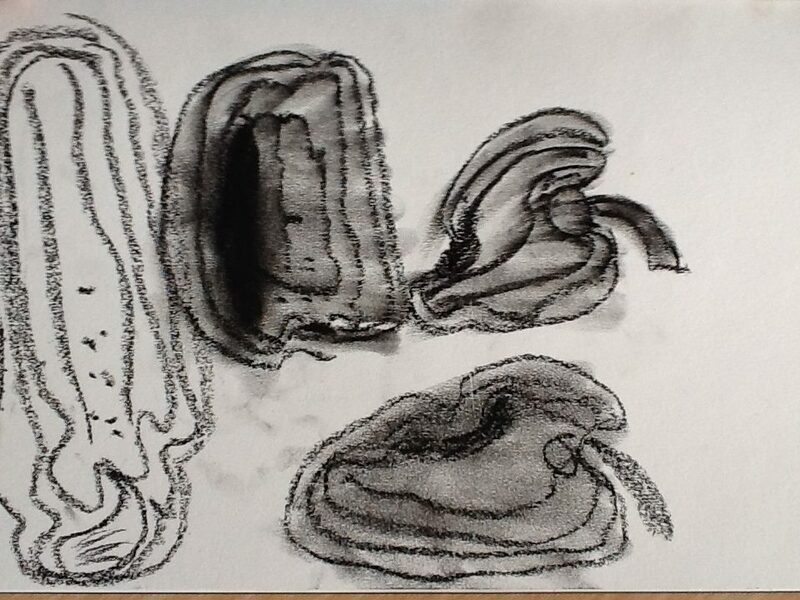 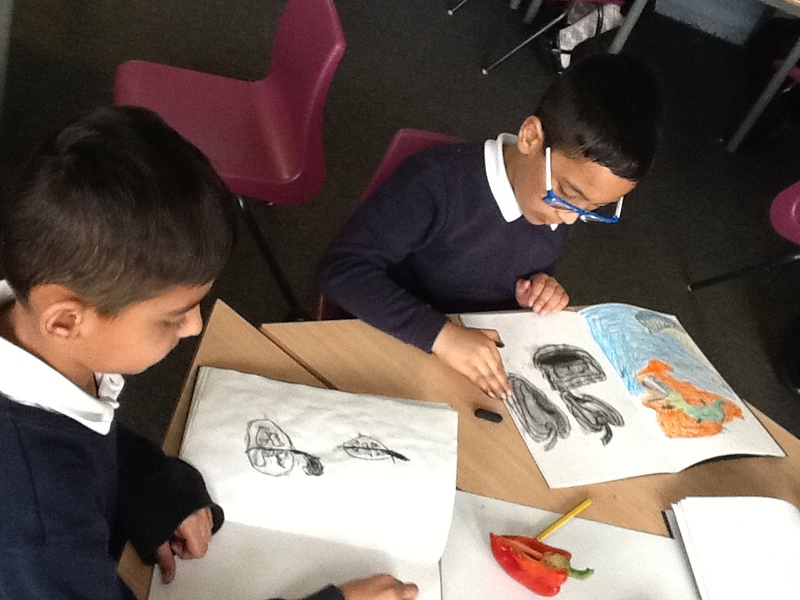 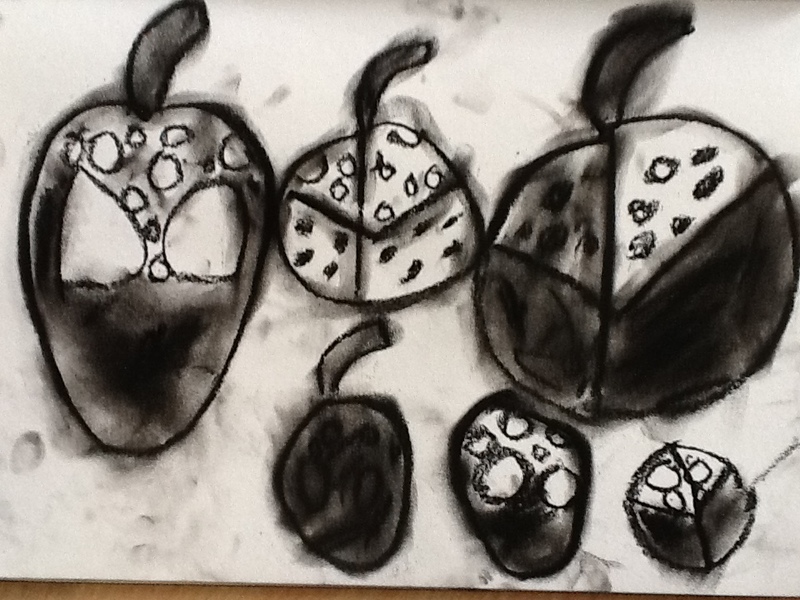 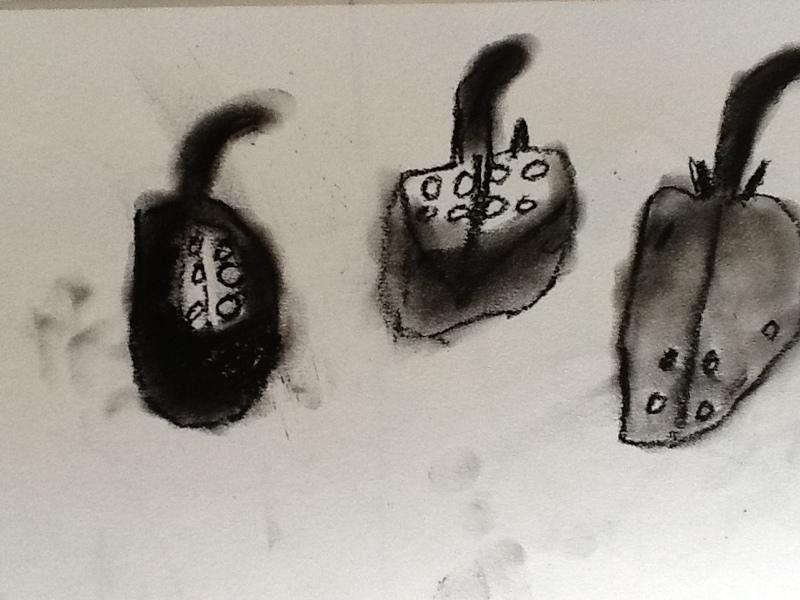 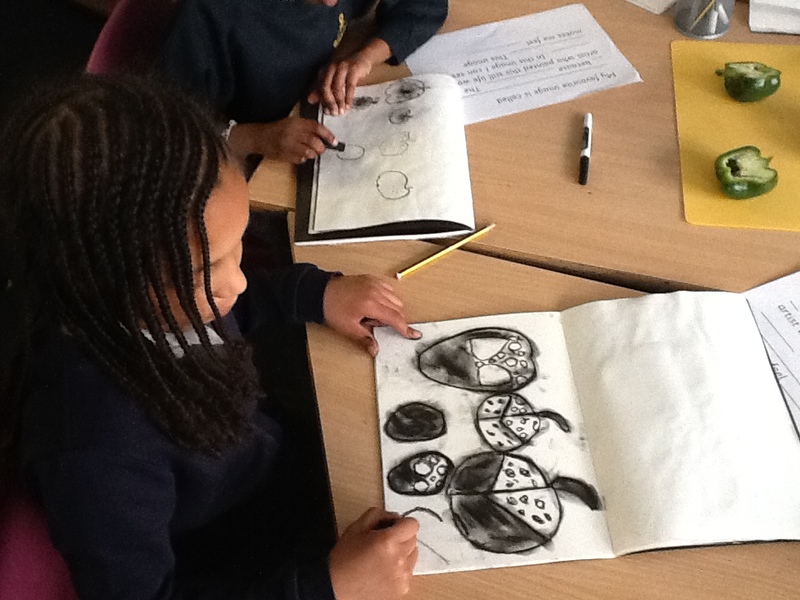 Year 3 then worked with charcoal in their sketch books to create still life sketches of peppers. 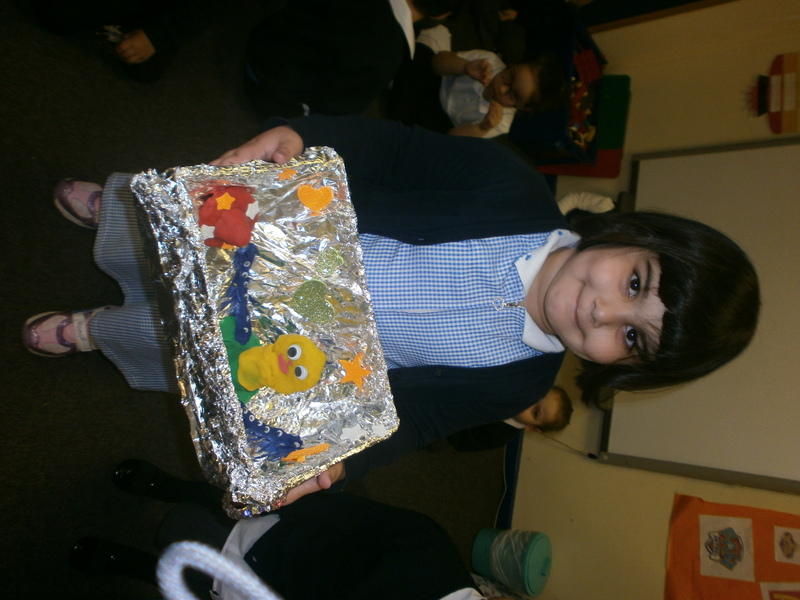 Have a look at some of the end results. This week in Year 2, we have been discussing what we think plants and flowers need to survive. 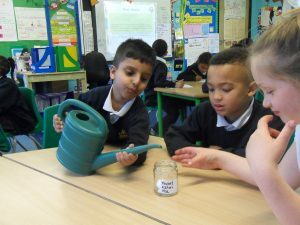 We decided that plants need water, sunlight, food and soil. 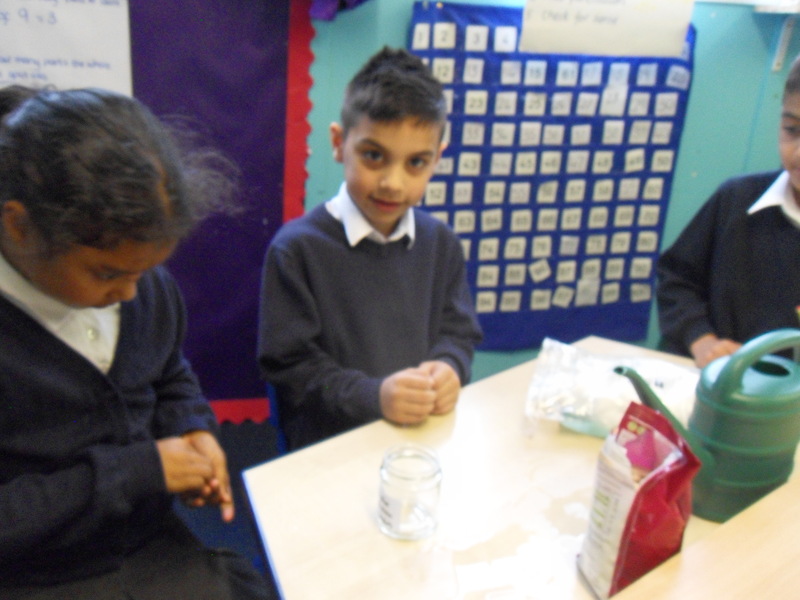 To test this we have started an experiment where we will watch bean seeds grow over time. 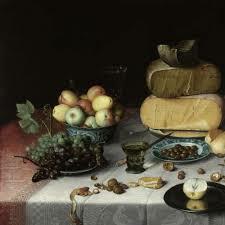 To test whether they need sunlight, some have been placed in the sunlight and some have been placed in the dark. 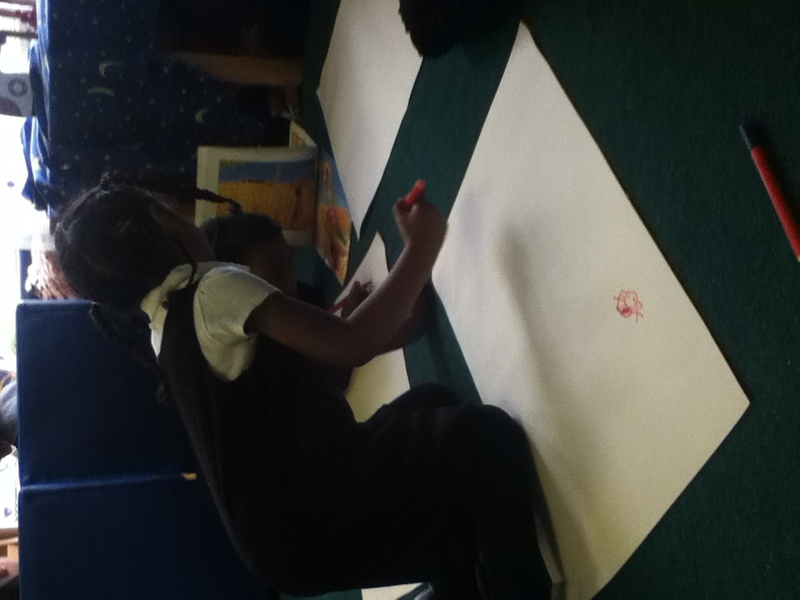 We predict that the ones in the sunlight will grow much better than the one in the dark. 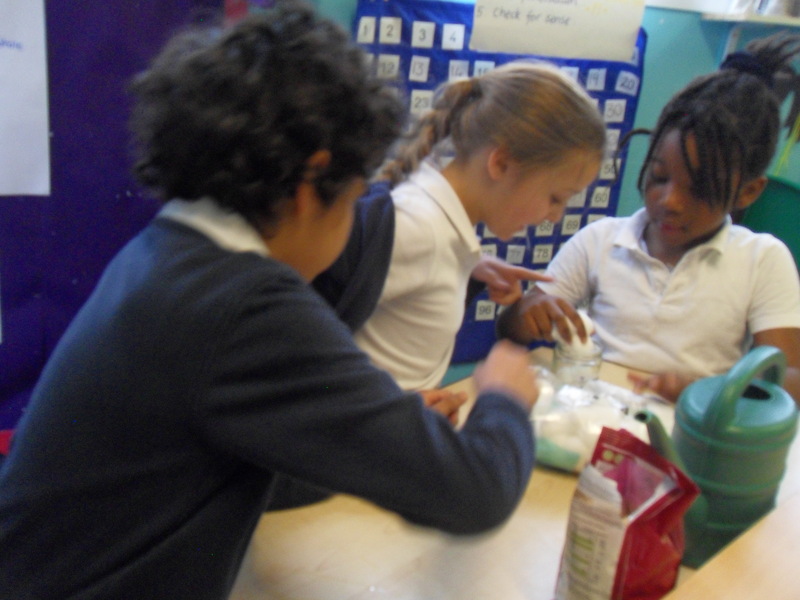 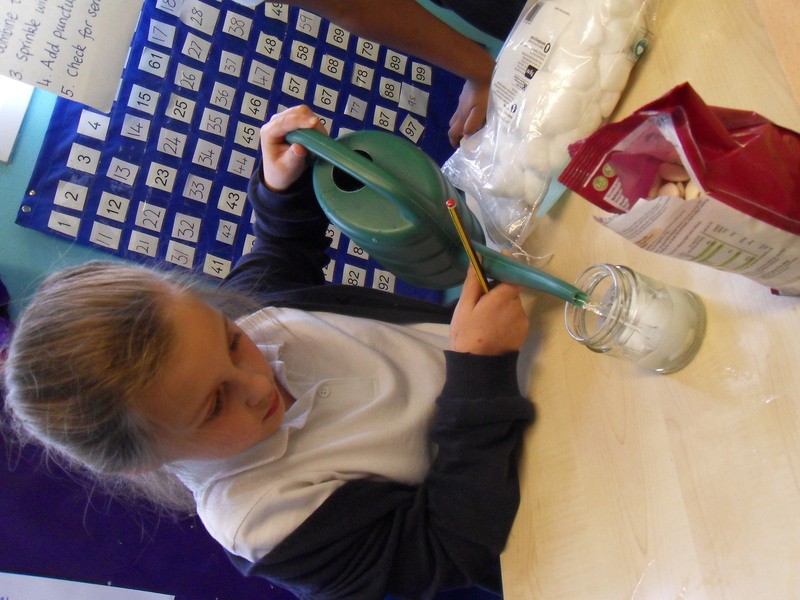 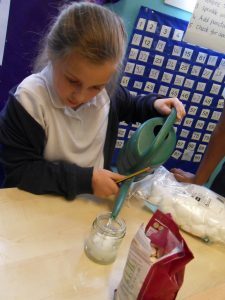 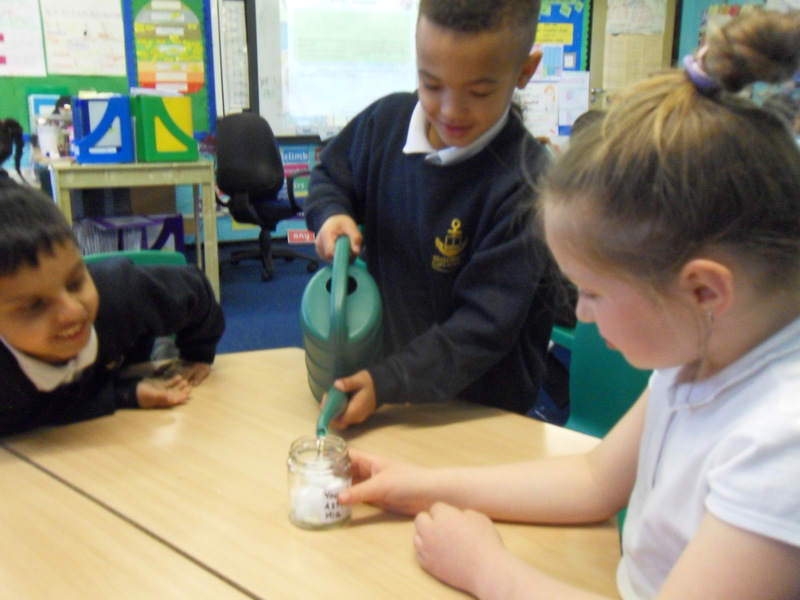 In addition, we have also planted them in cotton wool to test whether a seed really needs soil to germinate. 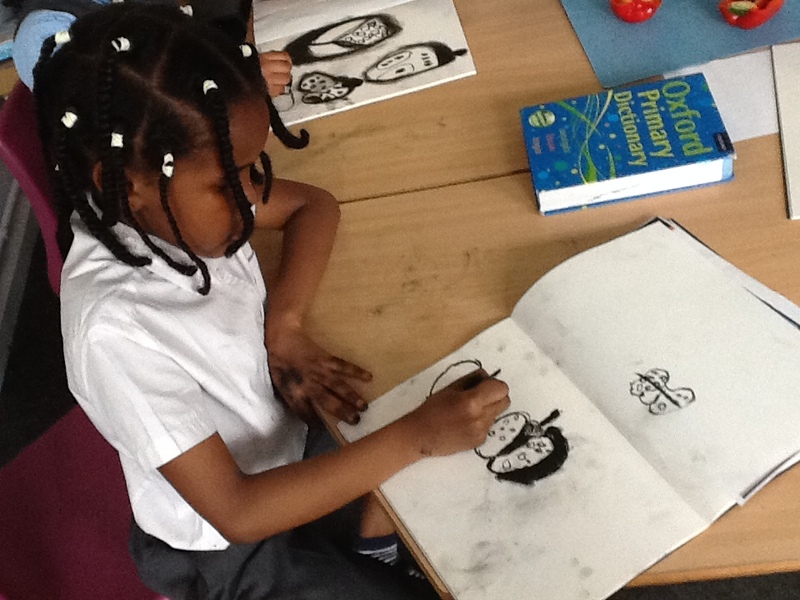 Year 2 will be checking up on the bean’s progress weekly. 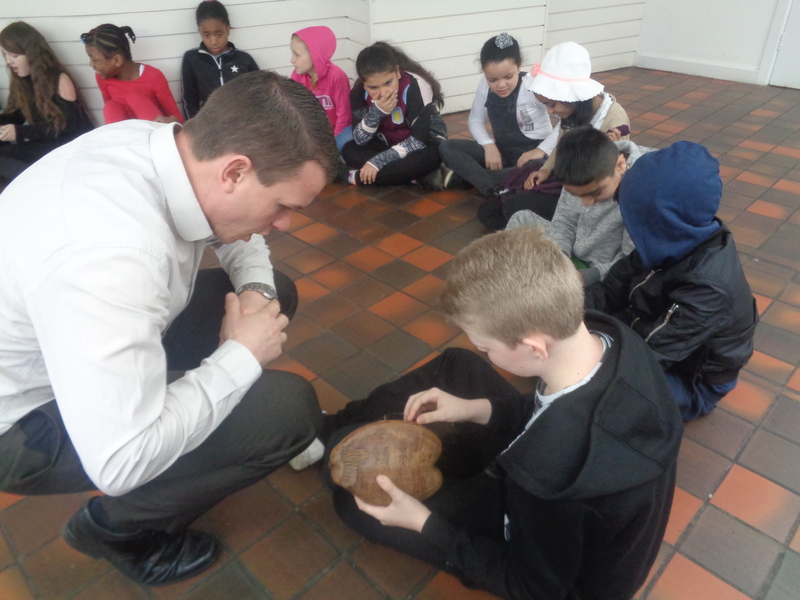 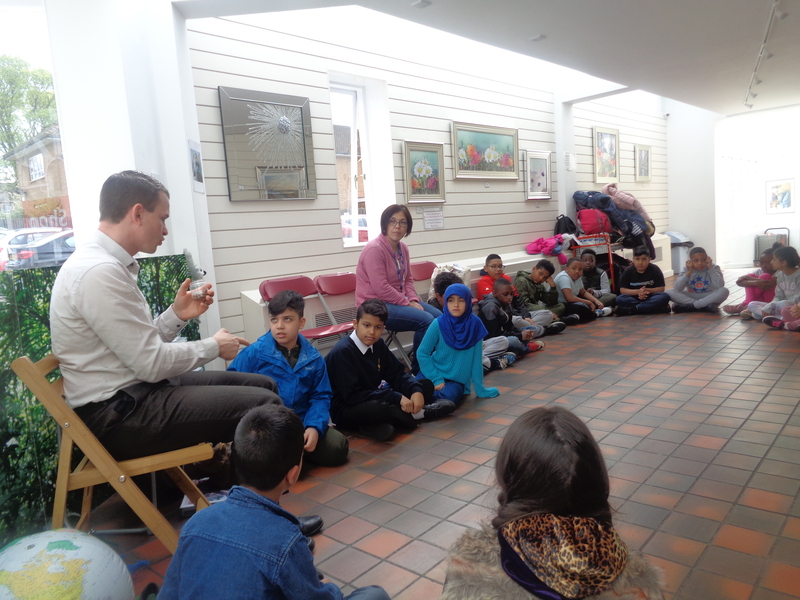 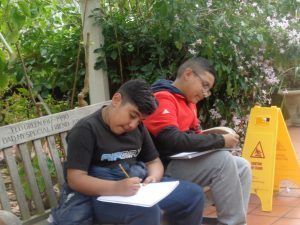 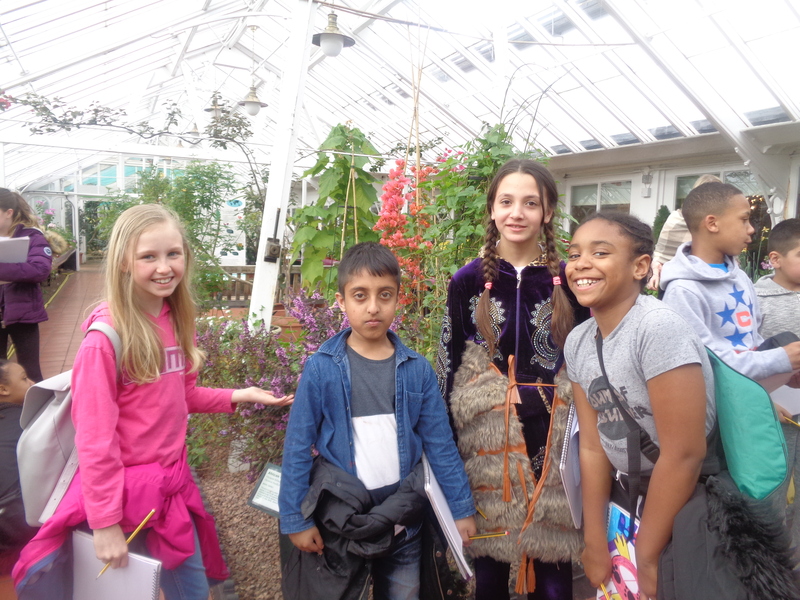 Year 5 visited the Botanical Gardens as part of their Topic work this term. 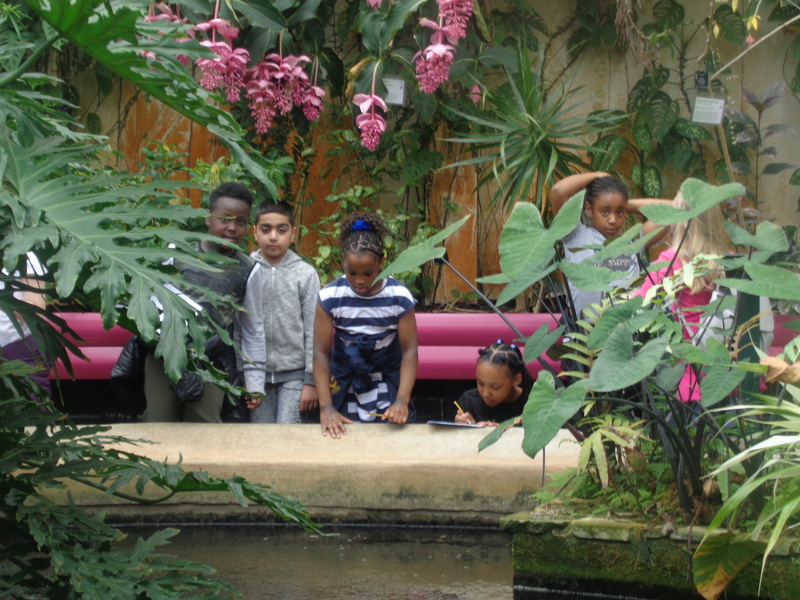 They explored the Tropical house, Subtropical house and Mediterranean glasshouse. 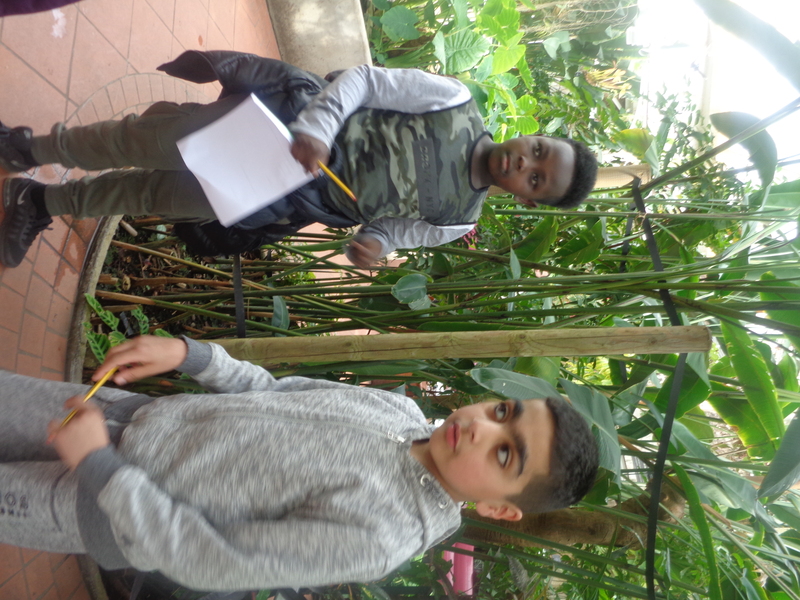 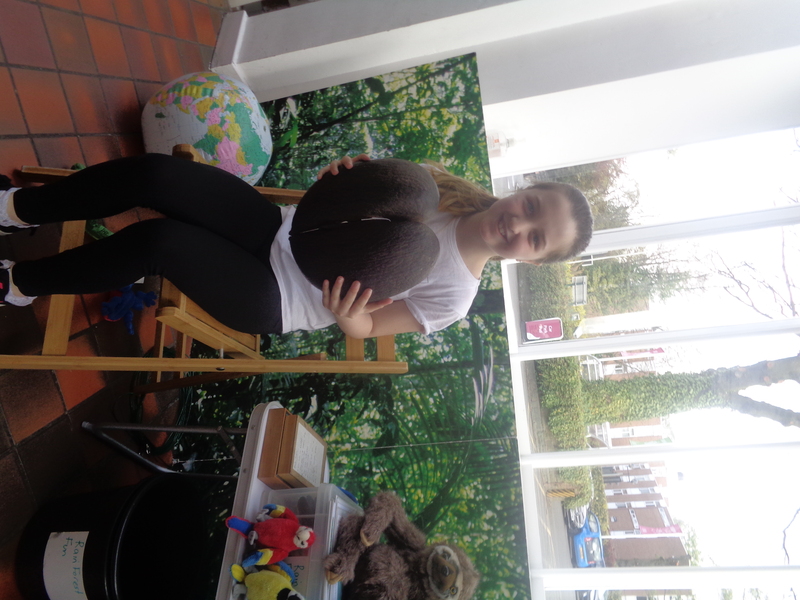 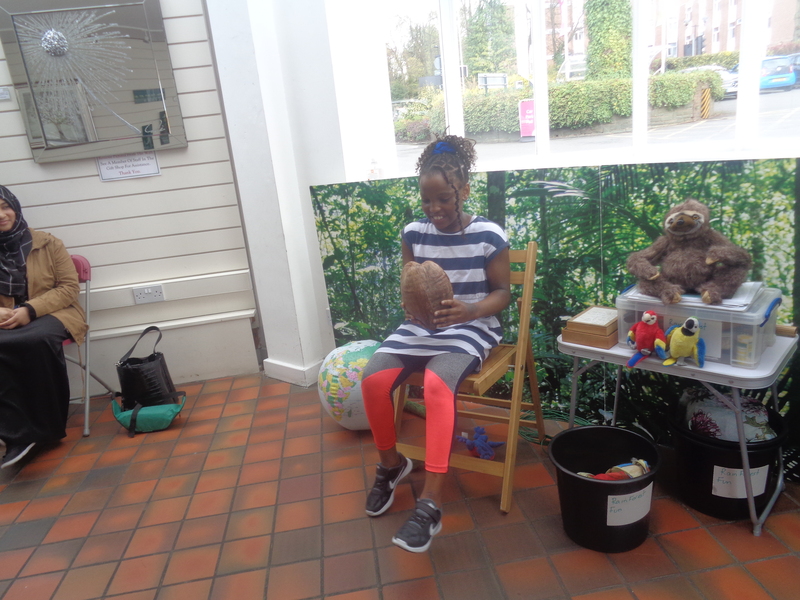 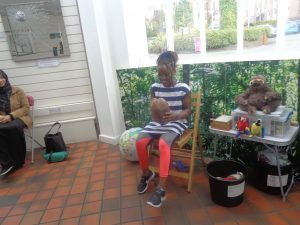 They learnt about where tropical rainforests were situated, the animals that inhabit them and why they were so endangered. They discovered how rainforest plants grow and adapt to their unique environment. Also, discovered which rainforest plants we eat and which we wear. 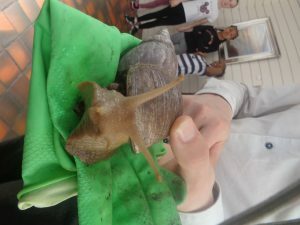 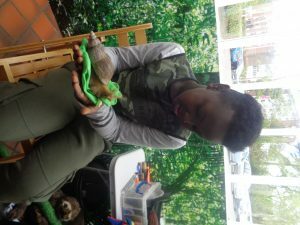 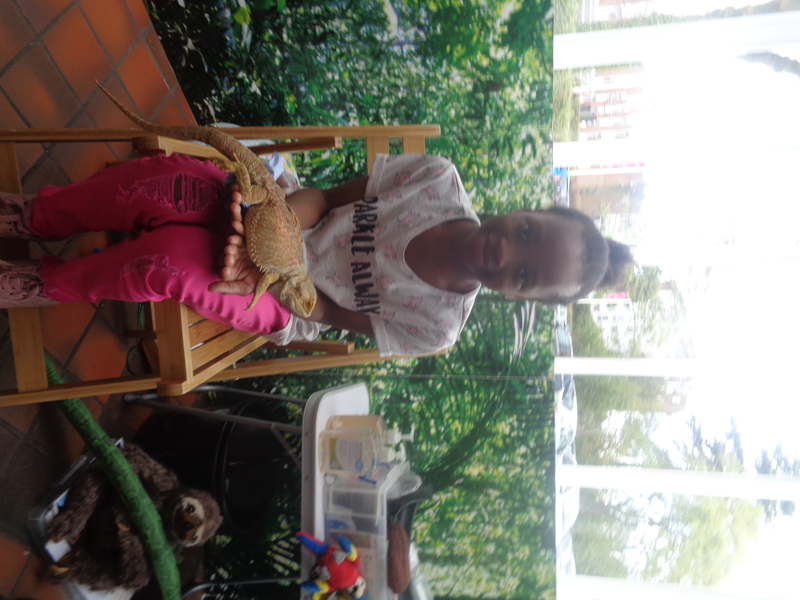 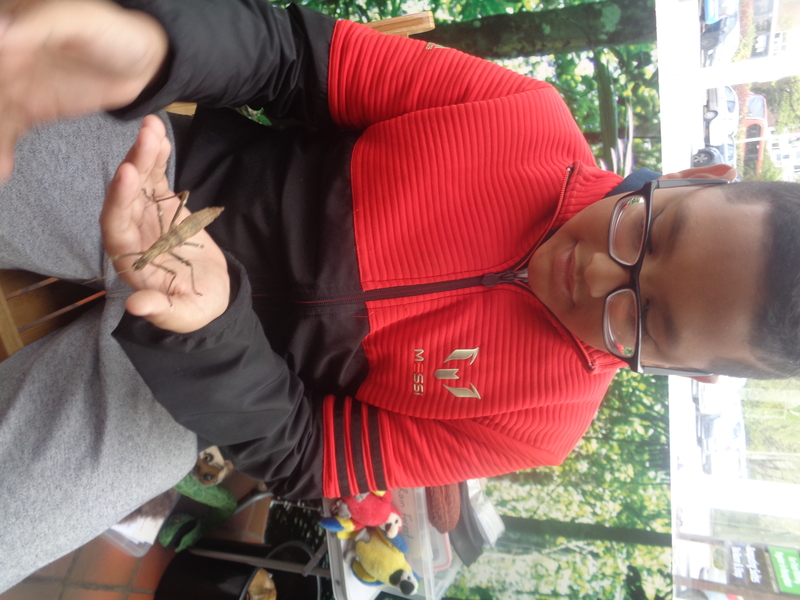 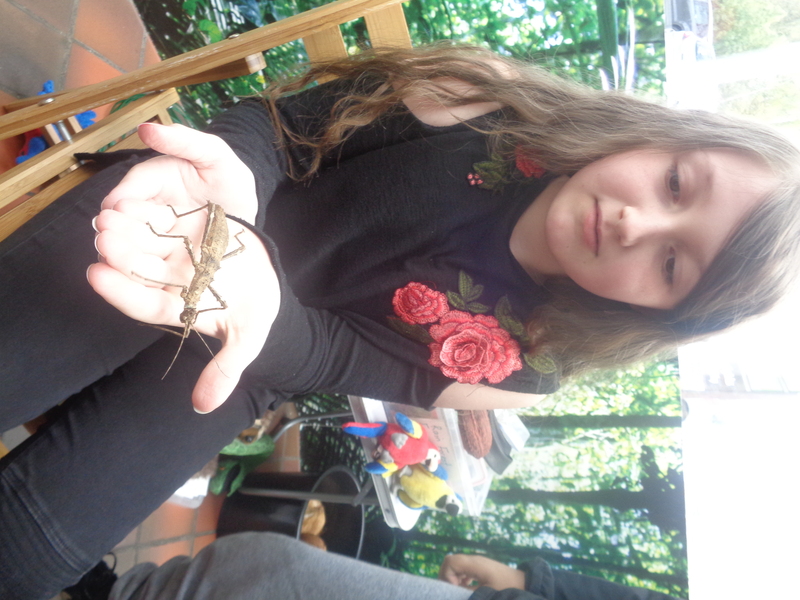 They had the opportunity to handle live animals, this included stick insect, bearded dragon and Giant African Land Snail. 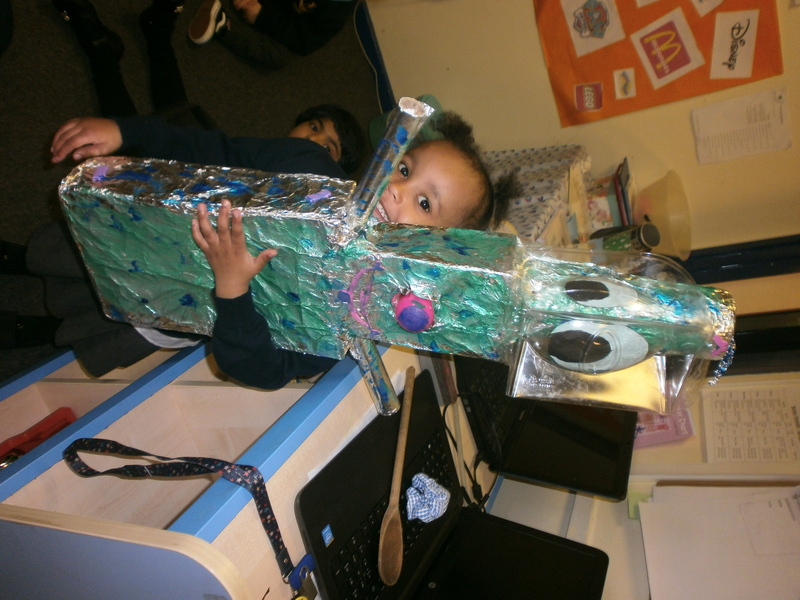 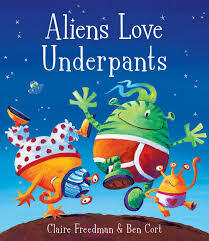 This week we have been reading the story Aliens Love Underpants, singing a song about men in a flying saucer and we introduced our ‘Create an Alien’ family project. 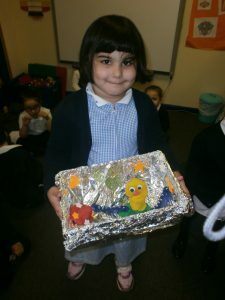 We have already had two family projects in and we are looking forward to seeing the more in a few weeks time. 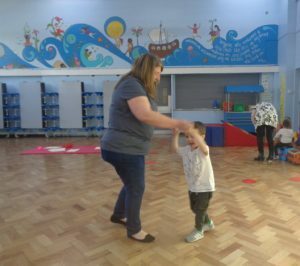 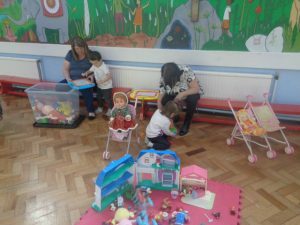 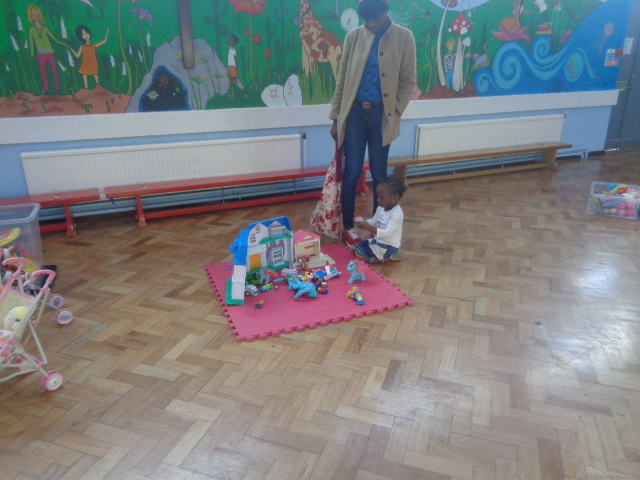 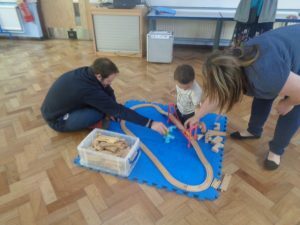 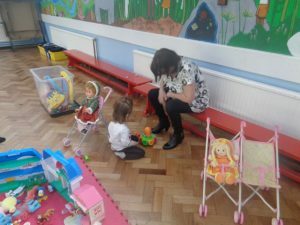 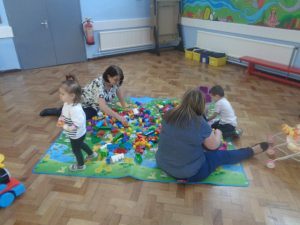 We have also welcomed some new children to our Nursery. 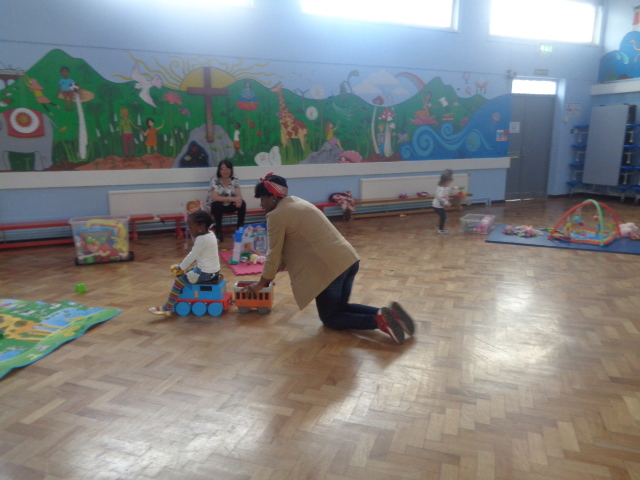 The children already here have been trying hard to help them settle and make new friends. 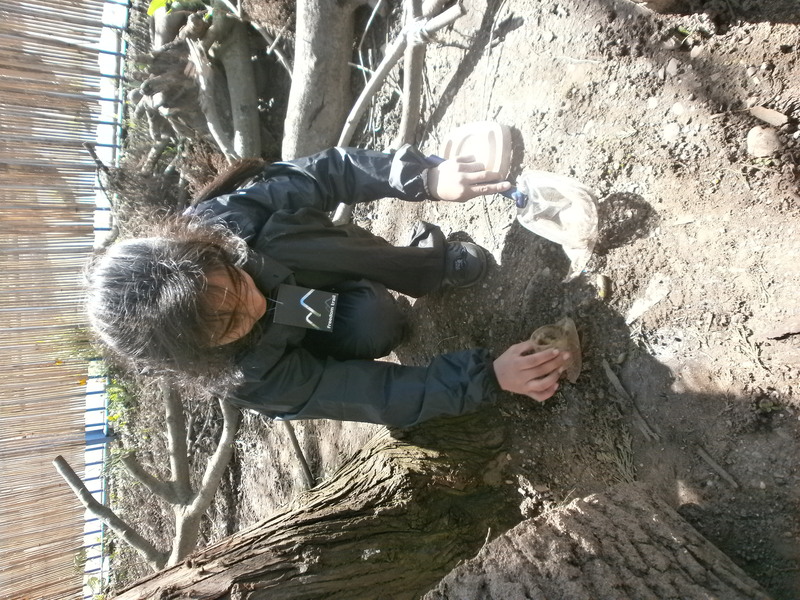 This week two new groups of children have started Forest School sessions. 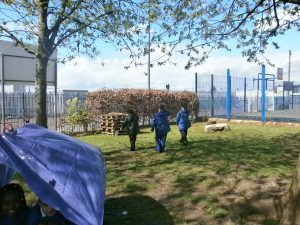 We took some time to get to know the area, the rules and the resources available. 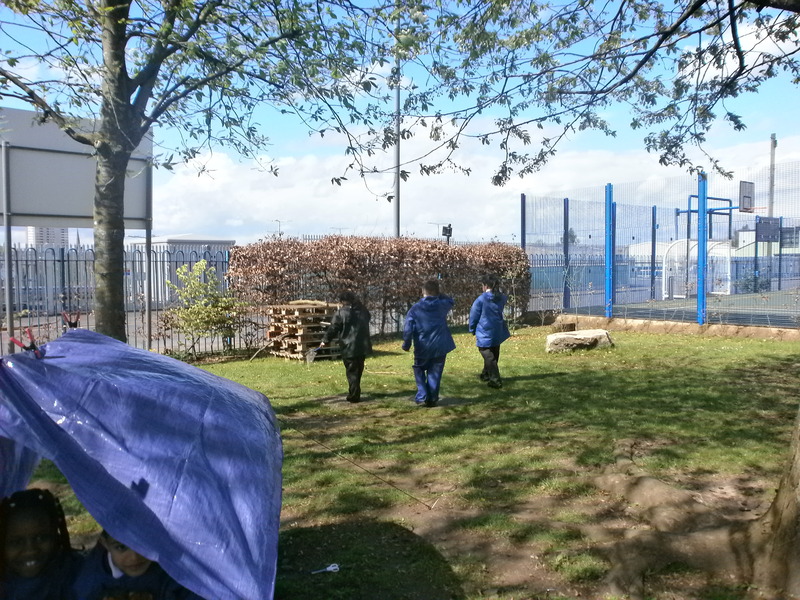 The children had great fun exploring the area whilst looking for insects. There was also some great team work during den building. 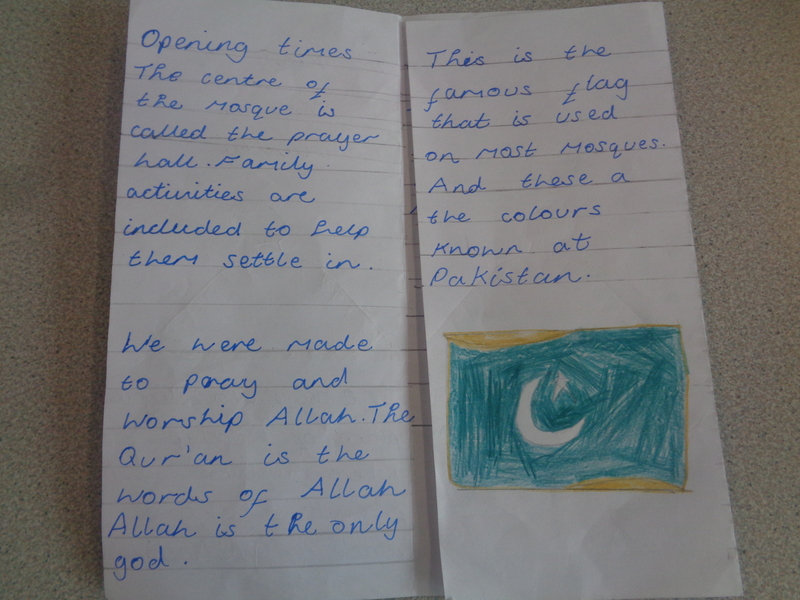 This half term we are looking at Islam. 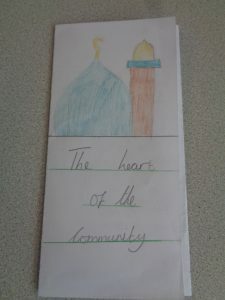 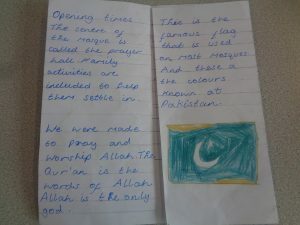 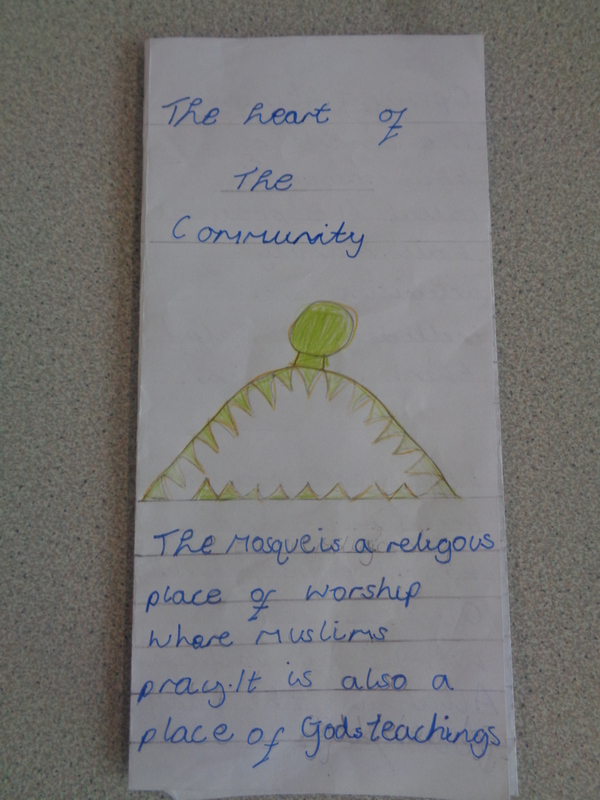 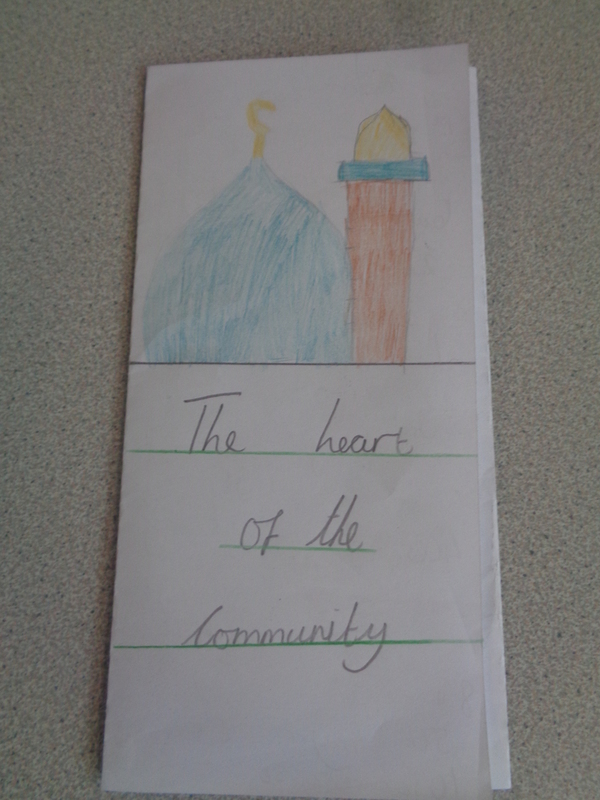 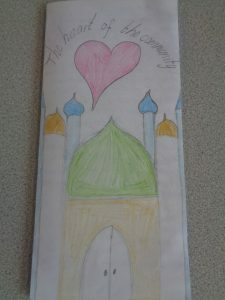 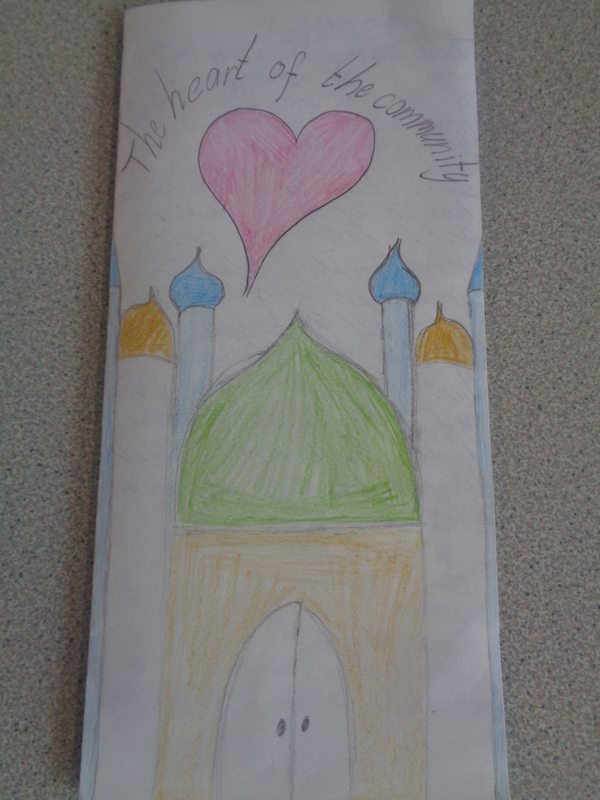 Our work this week was to design a leaflet describing how valuable the Mosque is to the wider community. 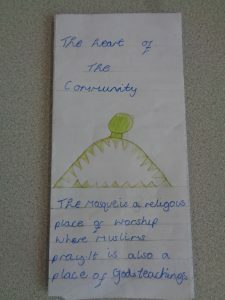 We discussed some of the services the Mosque offers to the local residents. 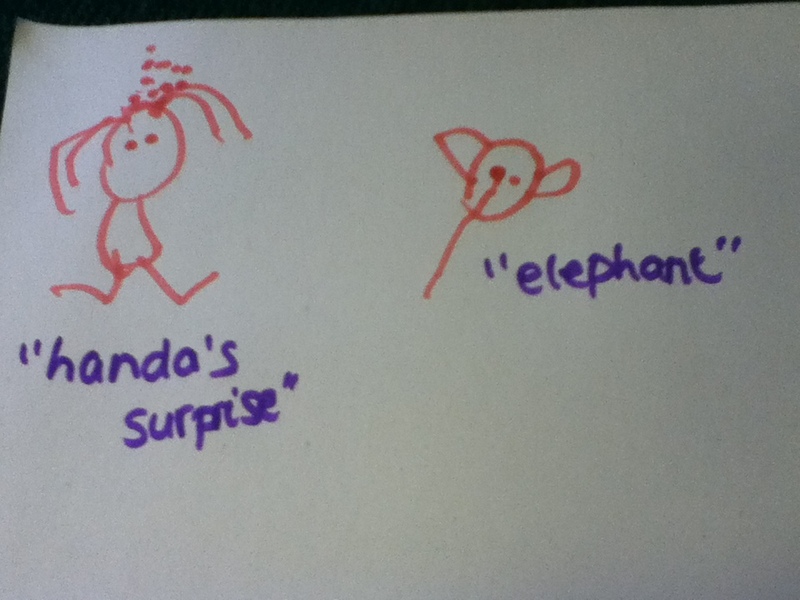 This week we have been reading the story ‘Handa’s Surprise’. 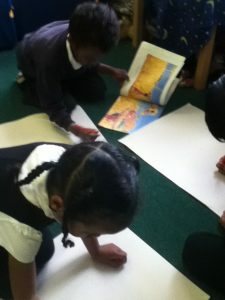 The children really enjoyed reading this book and creating story maps and writing all about it. 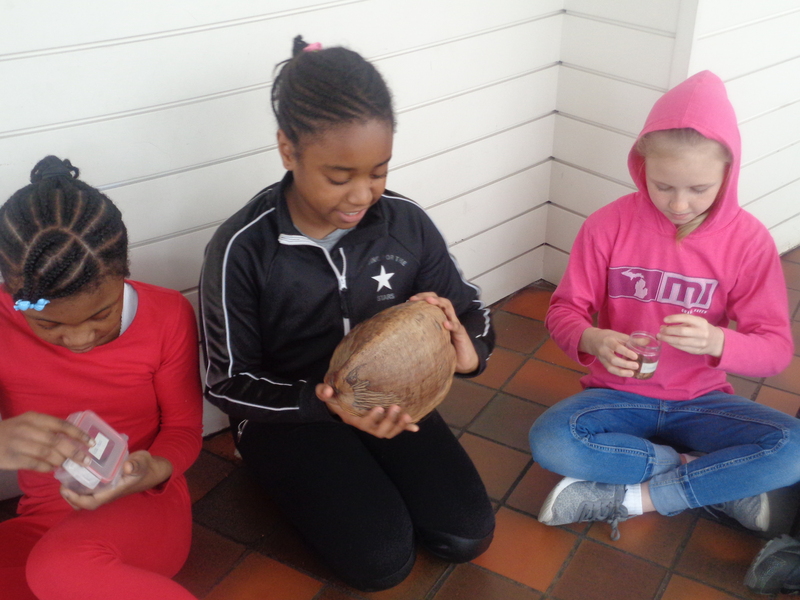 We spoke about our favourite fruits and tasted some! 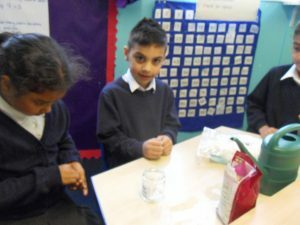 We tried pineapple and avocado and mango! 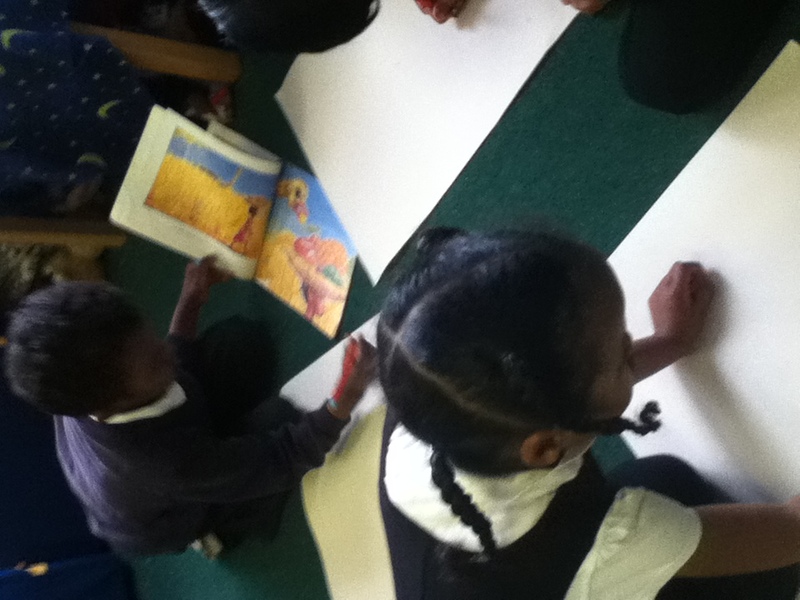 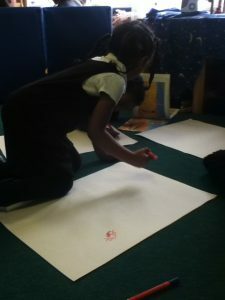 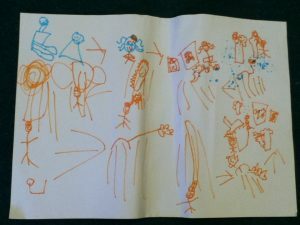 Some of the children created their own story maps! 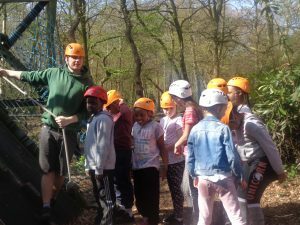 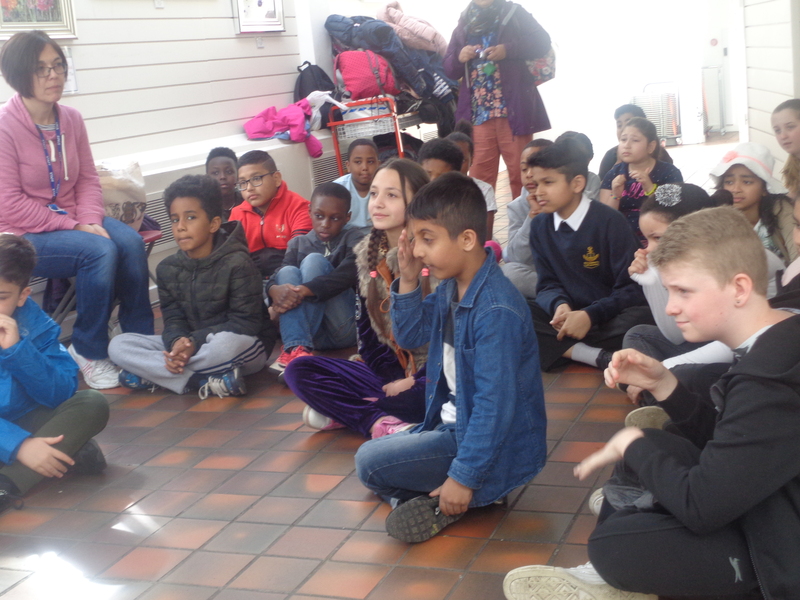 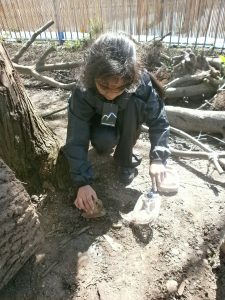 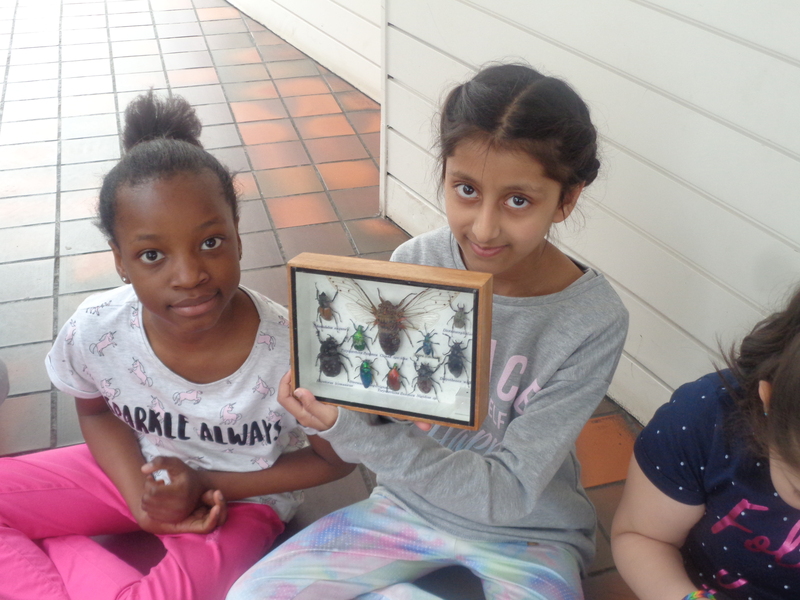 Last Friday, Year 5 spent the day at Woodlands Adventure. 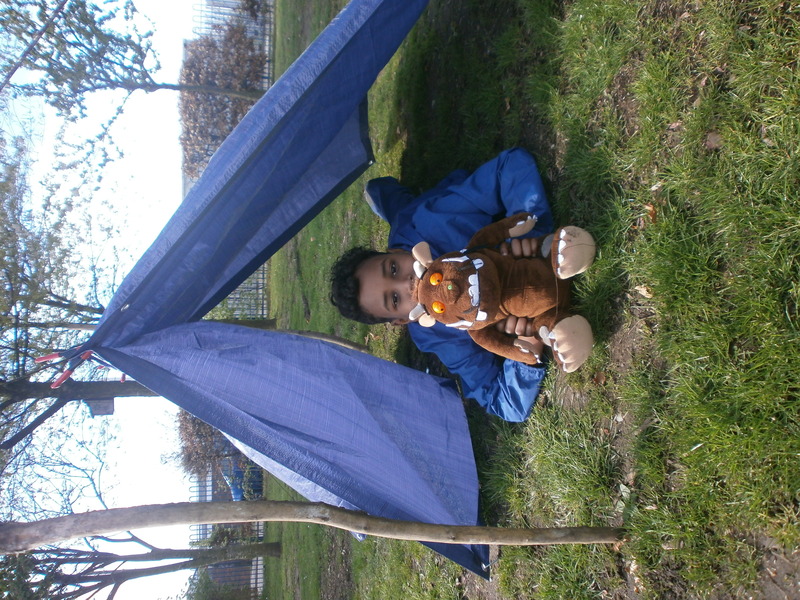 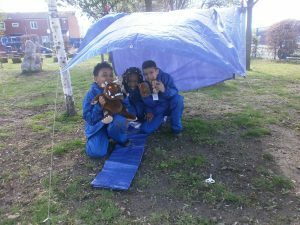 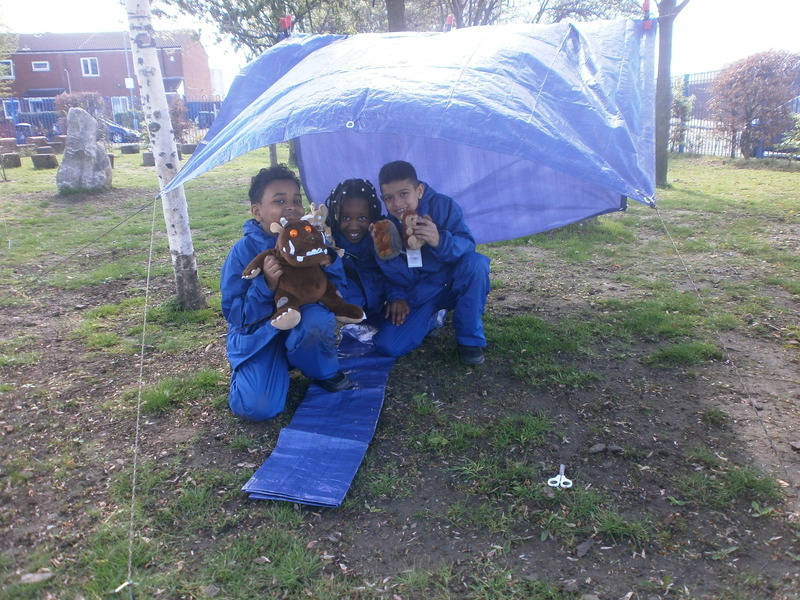 Children had the opportunity to experience a true outdoor setting. 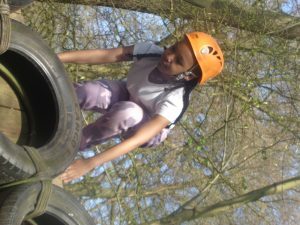 They were able to face new challenges and develop new skills. This, in turn, has led to increased self-confidence, motivation and engagement back in the classroom. 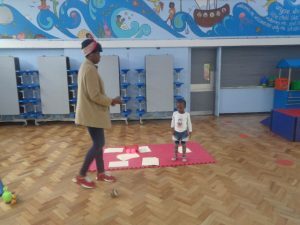 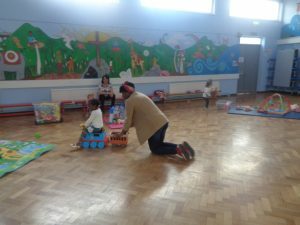 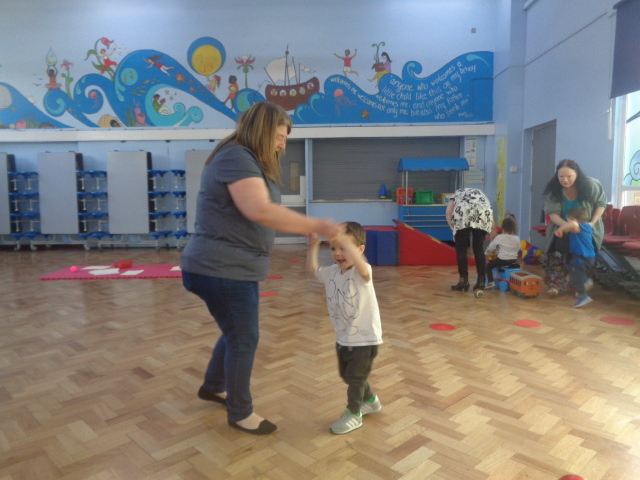 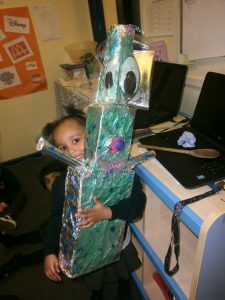 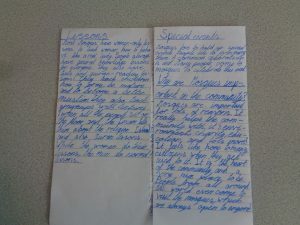 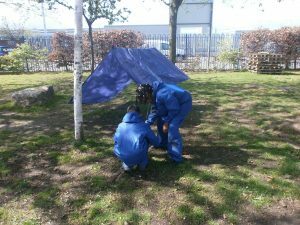 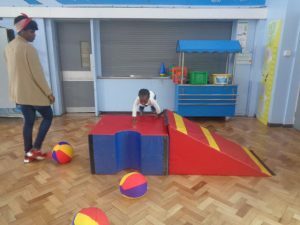 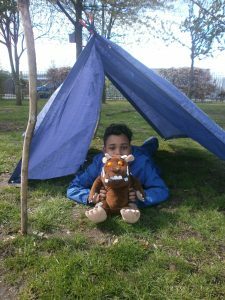 These activities encouraged them to develop on their social skills, team building, motivation, courage and resilience. 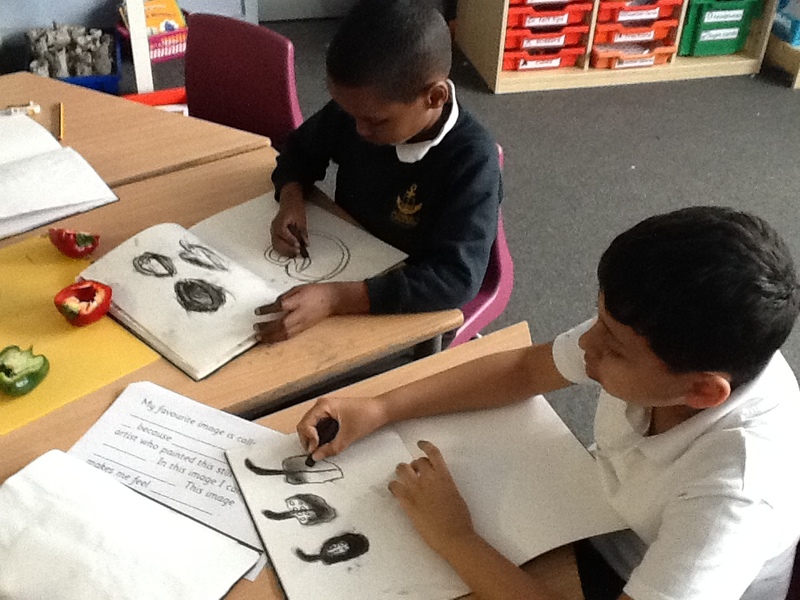 Last Thursday in Year 2 we started the session by sitting in a circle on chairs. 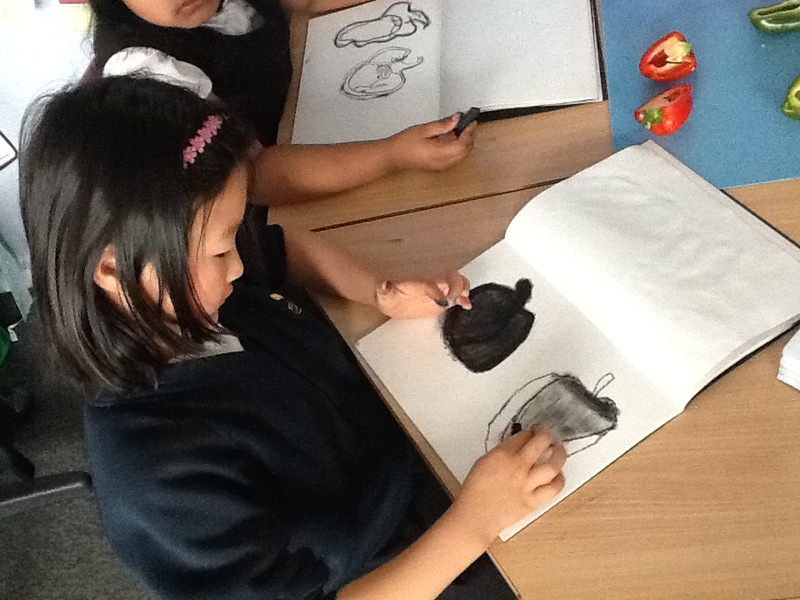 We then called our minds so that we were ready to learn. 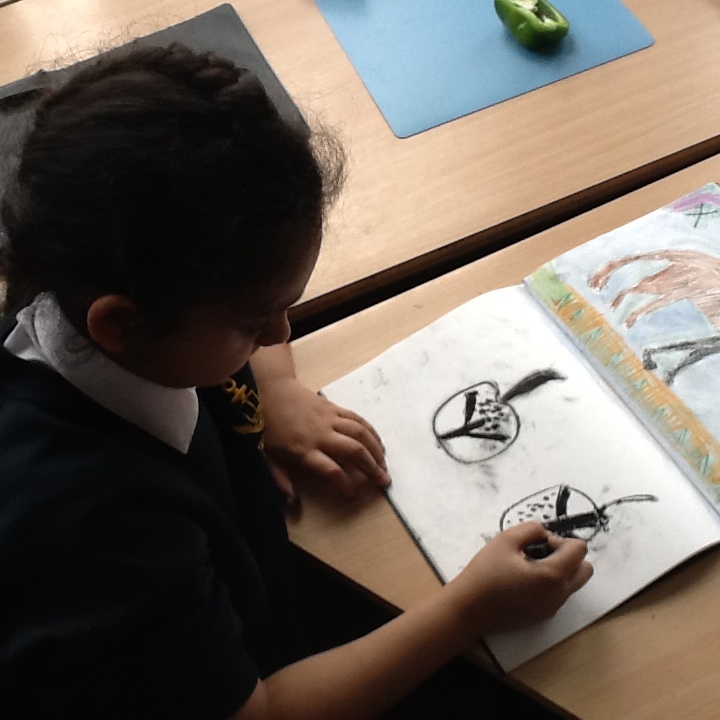 We then showed a BBC clip of an introduction to life cycles. 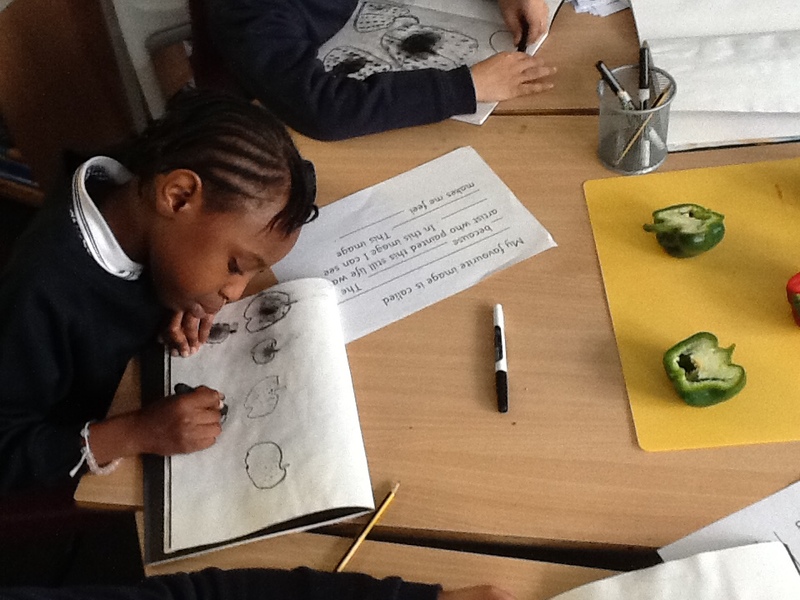 This included images of eggs, bees, seedlings growing, eggs hatching etc. 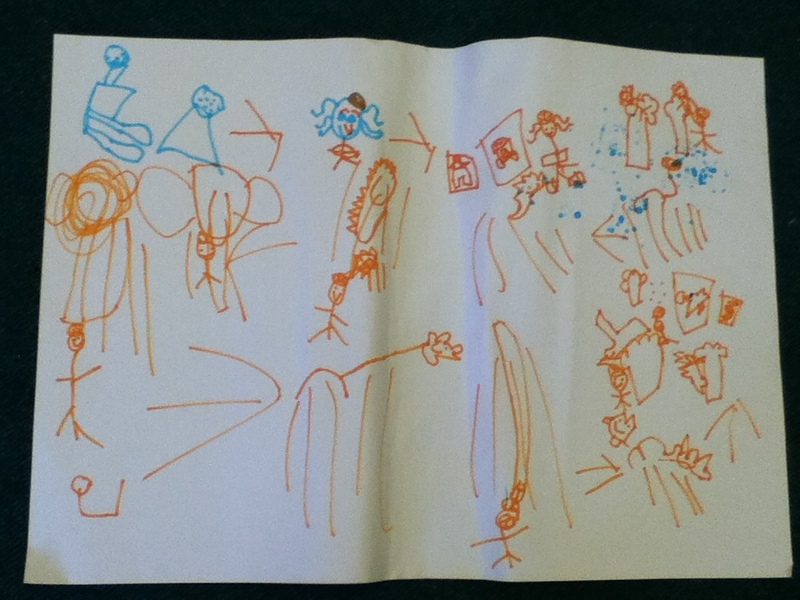 We then discussed what life cycles are and how things grow and change from a baby to an adult.